Over the past few months, we asked our readers to help us figure out which companies in the state are the best at what they do, and after thousands of votes, we’ve figured it out. On the following pages, you’ll find a comprehensive list of everything our readers love and took the time to vote for – whether it’s an aesthetician, artist, salon or surgeon. You’ll see where our readers go to relax, eat, get fit, invest and everything in between. 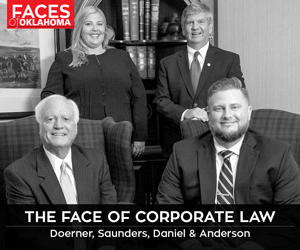 There are many excellent people and companies in Oklahoma, but only a select few have been deemed The Best of the Best by our readers. Looking at an artist’s work allows us to see into their brilliant minds, and many Oklahomans experiment with art, creating impressive results. New American realism painter P.S. Gordon is Claremore born, and his stunning watercolor art has been sold in exhibits in New York City and across the United States. For vibrant hyperrealism, Otto Duecker is the artist to watch, and Cynthia Brown is an abstract painter who is always experimenting with the media on her canvas. Greg Burns in Oklahoma City redefines artistry by holding his paintbrush in his mouth due a joint condition – and the results are striking prints made with dedication. Desmond Mason retired from the NBA in 2010, but he has wasted no time jumping into the art scene with his original paintings. And for a taste of the modern West in a figurative style, make sure to check out Ryan Cunningham. Infant Crisis Services’ Boots & Ballgowns Gala, Best Charity Event (OKC). Photo courtesy Infant Crisis Services. Oklahomans have big hearts, so coming together to help those in need is a no-brainer. In Tulsa, Carnivale benefits the Mental Health Association of Oklahoma, and the evening includes entertainment, drinks and dining, all to support a wonderful cause. For a live to tirection, bands, and a night of delight, make sure to attend the Painted Pony Ball, which benefits the Children’s Hospital Foundation at Saint Francis. The Red Ribbon Gala supports Tulsa CARES, and the entire night is spent raising money for less fortunate families. Plenty of charity events can be found in Oklahoma City, like the Renaissance Ball, which benefits the Oklahoma City Museum of Art – the evening includes cocktails, dinner and dancing. 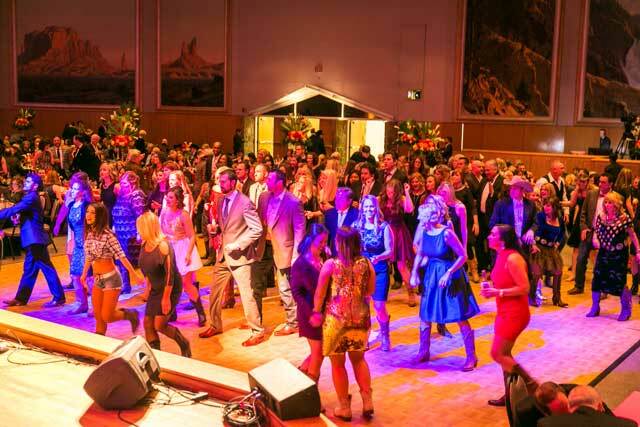 The Boots and Ballgowns Gala has a Western flair and a lively raffle, and the proceeds go to Infant Crisis Services, Inc. And don’t miss the anticipated Red Tie Night that supports the Oklahoma AIDS Care Fund and includes live and silent auctions. 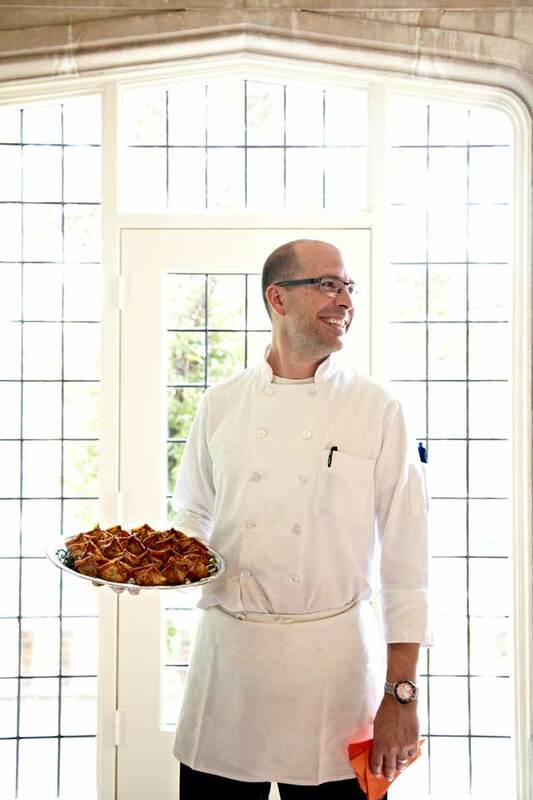 James Shrader of Palace Café, Best Chef (Tulsa). The chef at any restaurant is the cornerstone and heart of the eatery. James Shrader of Palace Café is the mastermind behind their delectable Creole-inspired seafood. You have Justin Thompson to thank for Juniper’s American fare, along with other restaurants in Tulsa like Prhyme and 624 Kitchen & Catering. For delicious French cuisine, Tim Inman of Stonehorse Café is the chef to beat, and Tuck Curren of Biga knows hearty Italian better than anyone. Kurt Fleischfresser is the heart and soul of Vast in Oklahoma City. Robert Black leads A Good Egg Dining Group as culinary director and oversees such restaurants as The Drake, Cheever’s Café and Red Primesteak. And Bruce Rinehart of Rococo knows seafood and East Coast dining like no one else. Leading a business as a CEO means hiring brilliant people, leading well and inspiring confidence. Jake Henry Jr. has directed the Saint Francis Health System since 2002 and continues to make Saint Francis a reliable and outstanding place to go for medical care. For structurally sound assembly in the traffic control, utility, lighting and communication industries, Phil Albert of Pelco Structural LLC is as dependable as they come. And Steve Bradshaw has been with Bank of Oklahoma since 1991 and CEO since 2014, so no one knows the company better than he does. In Oklahoma City, David Green of Hobby Lobby oversees 600 locations, all while ensuring a quality experience for each customer. Chuck Spicer has led one of Oklahoma’s largest healthcare systems, OU Medical Center, since 2013 and has continually improved an already excellent system. Phase 2 is a software development company spearheaded by Mark Towler, who believes open communication and honesty are keys to running a successful business. A great company is staffed with happy employees excited about coming in to work every day. In Tulsa, Cherokee Nation Businesses support their own by creating lasting jobs and investing in local citizens. ONEOK may be one of the biggest companies in its field, but every voice counts. Dating back to 1896, Manhattan Construction focuses on hard work done right, and the Saint Francis Health System staffs its halls with the highest-qualified doctors, nurses and technicians. In Oklahoma City, the OU Medical Center makes sure their staff members are cheerful and well-equipped so they can better serve their patients. The Chickasaw Nation believes in the strength and reliability of their citizens, and from that trust springs abundance. You won’t find an unhappy employee at Cox Communications, and American Fidelity Assurance Co. started from humble roots but now employs over 1,600 content people. Every city has a distinctive culture, and along with that culture comes iconic landmarks that residents need to see. The Golden Driller is the fourth-tallest statue in the United States, and you can find it right in the heart of Tulsa. The perfect spot for a concert is the BOK Center, which seats more than 19,000 people and never fails to impress. And ONEOK Field is home to plenty of baseball games with the best fireworks shows in town. The Oklahoma City National Memorial & Museum honors those who lost their lives in the 1995 tragedy. The Devon Energy Center is 50 stories of beautiful, modern architecture, and the Chesapeake Energy Arena hosts highly anticipated Thunder games and plenty of other exciting events. It’s easy to get attached to the voices we hear every day on the radio, and these local personalities are a cut above the rest. In Tulsa, listeners tune in to 1430 KTBZ to hear Chris Plank keep it real with sports and more. Mike & Heather from 94.9 WOLX wake Tulsans up with fun games like the Brain Strain to get the morning going. And there’s always great conversation and chemistry between Bud & Broadway on 106.1 KTGX. For excellent radio entertainment in Oklahoma City, tune in to 96.9 KQOB to hear Jack & Ron, who have been in the business for over 20 years. Another favorite duo in Oklahoma City is Joey & Heather, who you can hear on 98.9 KYIS. And Ronnie Kaye from 92.5 KOMA has been entertaining for years and knows exactly how to impress on the radio. A friendly face to deliver your TV news every morning is a must-have. 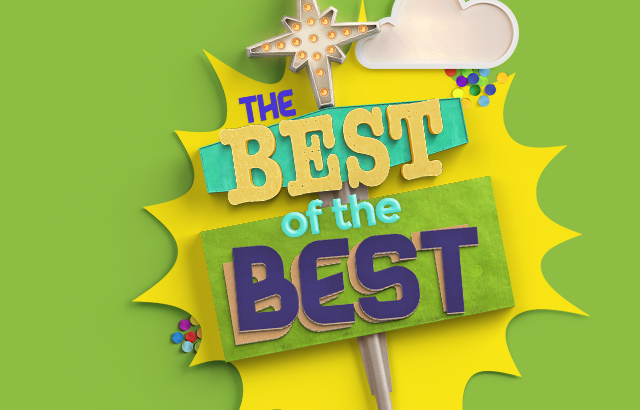 For the best in Tulsa, people tune in to see award-winning Karen Larsen on KJRH, Channel 2. The “Oklahoma Traveler” is Scott Thompson, who has been with KOTV, Channel 6 for over 25 years. Also on KOTV, Channel 6 is LeAnne Taylor, who wakes up Tulsans every weekday morning. Linda Cavanaugh for KFOR, Channel 4 in Oklahoma City gets to the heart of stories with her tough investigation and passion. For breaking news and evening newscasts, Oklahoma City residents look to Paul Folger on KOCO, Channel 5. And for dependable forecasts, tune in to KFOR, Channel 4 to watch chief meteorologist Mike Morgan. The only consistent thing about Oklahoma weather is that it’s ever changing, and meteorologists around the state have the tough job of reporting that to their residents. Tulsans trust Travis Meyer from KOTV, Channel 6, who has over 30 years of experience. Brett Anthony from KJRH, Channel 2 is an Emmy-winning weathercaster who has been chasing storms for 20 years. And Mike Collier from KTUL, Channel 8 is a Tulsa native, so he understands how fickle Oklahoma weather can be. Damon Lane from the Oklahoma City station KOCO, Channel 5 holds the highest-level certification from the nation’s top association for broadcast meteorologists, so he’s a man you can trust. David Payne of KWTV, Channel 9 has been giving Oklahoma City residents their weekday morning and noon updates on the weather for over a decade, and Mike Morgan has been with KFOR, Channel 4 since 1993 and has fostered a passion for meteorology his entire life. Tulsa Ballet, Best Performing Arts Organization (Tulsa) –Photo courtesy Tulsa Ballet. Tulsa’s premiere ballet company is Tulsa Ballet, and their performances range from classics like The Nutcracker to contemporary pieces choreographed by main company dancers. The Tulsa Performing Arts Center hosts a slew of Broadway shows, local productions and more in their four main theaters. 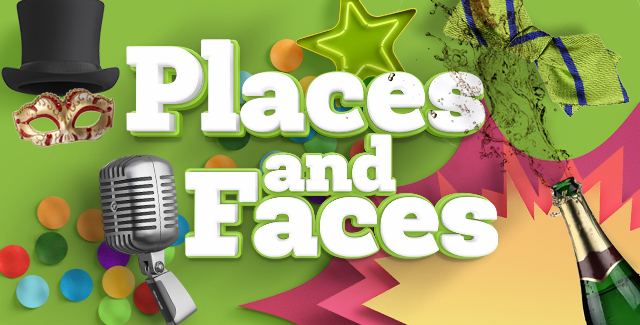 Celebrity Attractions in Tulsa has been bringing national tours to Oklahoma since 1983, presenting a wide variety of entertaining shows for all ages. And be sure to go to Tulsa Opera for shows that will make your heart sing. The Oklahoma City Ballet impresses with its visually stunning pieces like A Midsummer Night’s Dream. For a place with a more relaxed atmosphere, go to Sooner Theatre in Norman to see local and touring shows or even take a class if you’re inclined. And Lyric Theatre in Oklahoma City has a wide selection of shows to watch, from The Wizard of Oz to Dreamgirls. Oklahoma may have excellent metropolitan areas, but it’s nice to get lost in some of the state’s smaller and more rustic cities. In the Tulsa metro, Jenks is a popular destination with the Riverwalk, Oklahoma Aquarium and shopping stops. Bixby is an ever-growing city and the host of the BBQ’n Blues Festival, and Owasso has a historical museum, excellent food and entertaining block parties. Stillwater is the home of the OSU Cowboys, so make sure to stop in on game day if you’re a fan. The picturesque town of Duncan is just 60 miles east of the Wichita Mountains National Wild Life Refuge, and Guthrie has interesting architecture from the 19th and 20th centuries. Lake Hefner, Best place to view an oklahoma Sunset (OKC). Ask anyone and they’ll agree: Oklahoma has the loveliest sunsets, and some locations around the state have the optimum view. The Summit Club in Tulsa is located on the top floors of the Bank of America Center, offering stunning views of the city. The River Parks provide plenty of trails to exercise while watching the sun go down, and of course, sitting in a boat on Grand Lake as dusk falls isn’t too shabby, either. 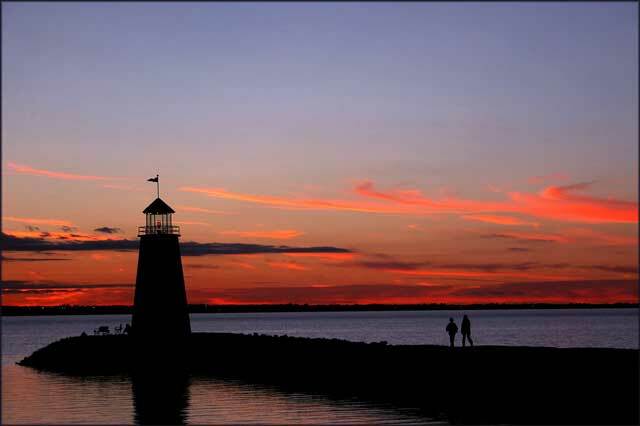 For Oklahoma City residents, Lake Hefner is the ideal spot to sit and enjoy the end of the day. In Grady County you’ll find a gorgeous summit called Red Hill that will take your breath away, or you can relax and observe at Devon Energy Center.